Well, not yet. While digital personalization has touched most of the marketing mix, the TV spot has continued to hold strong. Interactivity has flirted with those :30s and :60s, but limitations in hardware and software on the part of manufacturers, broadcasters and (most importantly) cable providers have kept even the most adventurous spots “shrink-wrapped” and siloed interactive executions to a DIRECTV submenu. 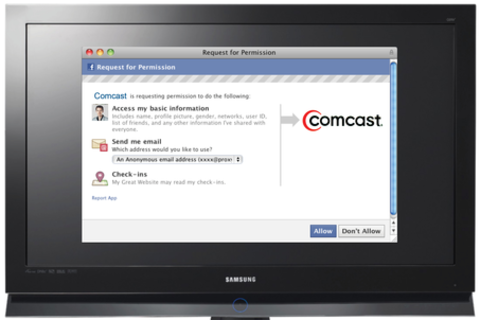 But what if you could sync your Facebook or G+ to your Comcast or Time Warner? What if your commercials could know your age, your location, you interests, your friends, your past purchases and more? What would those spots look like and how would they work? And most importantly, can templatized personalization successfully co-exist with the powerful emotion we’ve come to expect from our spots? This session will explore these topics and more, sharing some of the most promising experiments that may lead to answers and the future of Interactive Marketing through your TV. Matt founded, built and continues to lead a team of 20 Experience Designers at CP+B as they strive to eliminate dead ends and create the greatest product journeys and experiences in the world. This journey has included launching everything from small projects to entire customer engagement systems for brands that include Dominos, Old Navy, Volkswagen, Microsoft, Burger King, MetLife, Milka, Under Armour, Sprite, Kraft, American Express, Vail Resorts and Best Buy. His group has also been influentially involved with CP+B’s Product Innovation team in the launch and/or evolution of multiple startups that include but are not limited to B-Cycle, Green Garage and Angel’s Envy. Prior to joining CP+B, Matt worked at R/GA on the Nike account. While working there he helped create and redesign a number of award winning sites including NikeID.com, NikeGridiron.com and NikeRunning.com. He also served as a gaming consultant for other clients including Target, Bank of America, IBM, Johnson & Johnson, and Verizon. During his career his work has been recognized by all the major award shows, including Cannes, the Clios, LIAA, the WebAwards, and the One Show. Matt holds an M.P.S. From the Interactive Telecommunications Program at NYU, and a B.B.A. in marketing from the Mendoza College of Business at the University of Notre Dame.